FINNAN ROBINS’ 18th place in the U13 boys’ race was the highlight of the Bromsgrove & Redditch Athletic Club challenge at the Inter-Counties Cross Country Championships at Prestwold Hall in Loughborough on Saturday. Teams from throughout the UK compete over all the age groups from U13 to senior, with eight athletes selected in each age group/gender team. This is the highest quality domestic event of the season, so anyone competing had well and truly earned their place. 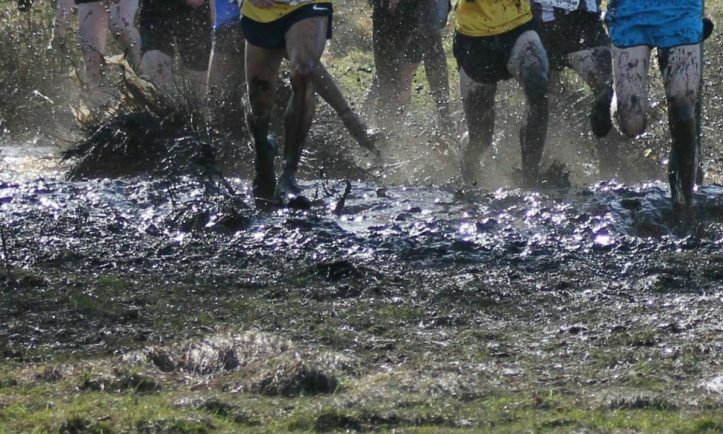 Although the course is good, undulating parkland, the recent snow and rain meant it was deep mud right from the start, making the racing the toughest it has been since it moved to this venue. With B&R runners all running for Worcestershire, it was Robins who led the way in a 3km U13 boys’ race in which team-mate Pijus Tvardauskas was 154th. In the U13 girls’ race over the same distance Lucy Hatfield was 206th and Esme Ranger 214th, whilst in the 4.5km U15 boys’ event Joe Cunliffe was 129th and Harrison Mayne 159th. Natalie Hatfield came 41st and Sophie Groom 194th in the U15 girls’ race over 4km and in the U17 women’s race over 5km Beth Sykes was 120th, Amy Mijovic-Couldwell 147th, Ellen Bowen 187th and Anna Nicod 218th. Gareth Richardson finished 145th in the U20 men’s race over 8km, whilst the 8k senior women’s race was won by Phoebe Law of Kingston & Polytechnic Harriers. B&R’s Sally Hogan was 127th and Tamara Freeman 227th. The senior men’s competition was a 12km race won by the flying Mahamed Mahamed from Southampton AC who is only 20 and has a bright future ahead of him. Worcestershire were led home by a superb performance from Tipton Harriers’ Redditch-based athlete Joe Smith who finished 34th. The only B&R runner was Tim Spencer who was 198th. Spencer started running later in life and in his first year for B&R is showing how good he is becoming.